Across the UK, almost 4,000 gritters are on hand to tackle the icy blast forecast to bring blizzard conditions to most parts of the country. Many of these vehicles will also be fitted with ploughs to clear away fallen snow but should more help be needed then 500 dedicated snow ploughs can be mobilised to force a way through to keep routes open. Most of the vehicles will be owned by – or operated on behalf of – either councils to clear local roads or the government agencies that keep the motorways passable. However, a significant number will be deployed to keep facilities such as airports operating. The figures are revealed in RAC Foundation analysis of DVLA data which details the number of vehicles licensed in the UK by tax class. “Many lessons have been learned by highway managers since the appalling winters of 2009-10 and 2010-11 caught them on the hop. 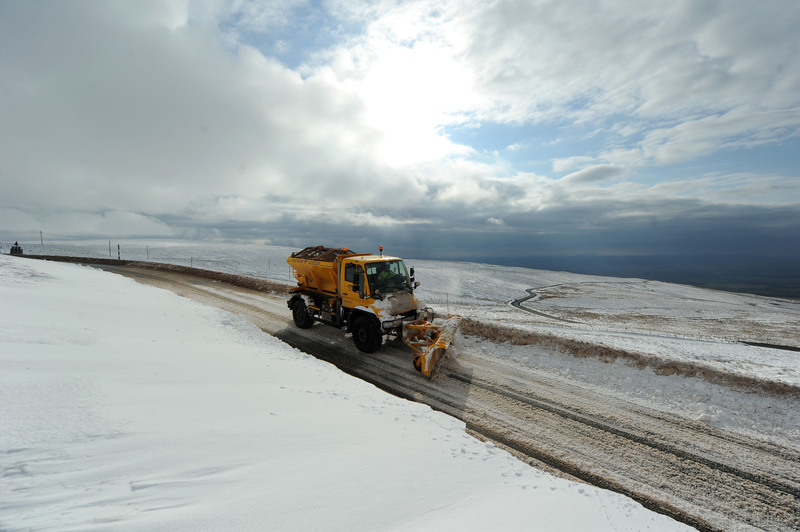 “But although we can take some comfort from the fact that the stockpiles of salt and grit are much higher this winter, and that there are thousands of specialised vehicles ready to do the spreading, highway authorities faced with the ‘beast from the east’ have had to use their judgement to prioritise key routes and try to stay ahead of the weather. As many drivers will know this hasn’t always been possible.